Why use haritaki to activate the pineal gland? Haritaki is known to cleanse this gland of toxins that accumulate there. From birth the pineal gland appears to be active providing the child access to intuition, clairvoyance and clair-audience. All the uses of the third eye are available to the child. 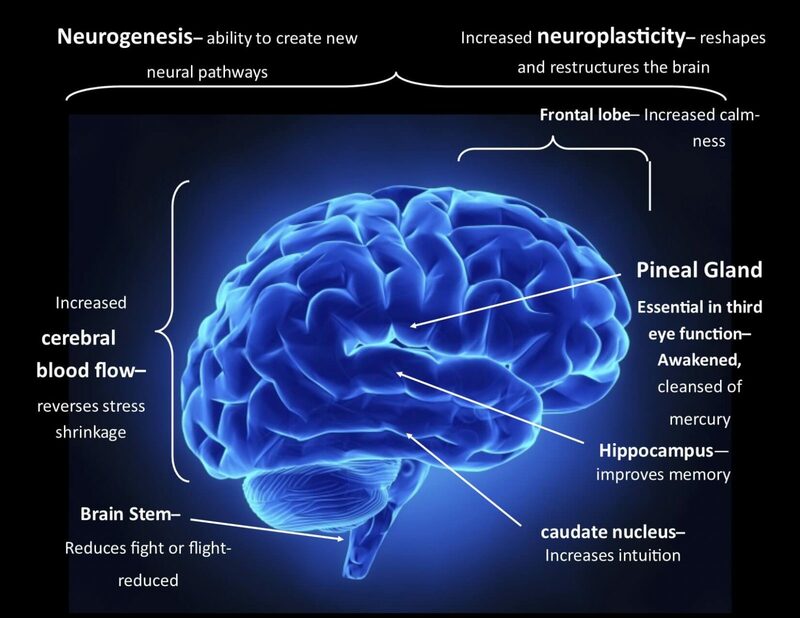 However as we grow older the pineal gland calcifies and even withers in size, shrinking quite rapidly. This diminishes the use of the pineal gland and associated powers. To activate the pineal gland using haritaki we have 4 different ways. Take haritaki internally at night before bedtime. This is the best way to take haritaki. The reason for this is that haritaki begins work on the body by cleaning the digestive track and guts. It works overnight using it antibiotic, antifungal and antibacterial properties. This purifies the blood and increases oxygen flow to the brain. It also created a large healthy bowel movement in the morning. This cleansing of the bowels is of great importance. Take haritaki internally in the morning. This does not have as profound an effect as taking the haritaki in the evening. 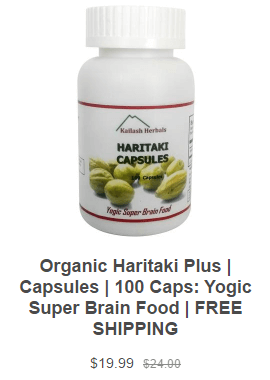 However for some people this is a better option, if you find you are not able to sleep because of the high energy that haritaki can give you in the evening. Make a tea of haritaki. Some users find that the powder is not pleasant so they make a tea of the haritaki powder. If you are interested in making a tea here are instructions. I do not find this as effective as using haritaki capsules. Apply haritaki as a paste on the forehead. This technique has very good effects on the skin, but is not as effective as taking haritaki internally. A number of haritaki users apply haritaki on their skin to reduce pimples and rashes. Others apply it on their hair and report increase hair health. Applying tumeric on the forehead is more effective as a cleansing of the pineal gland that external use of haritaki. Haritaki’s most common external use in on cuts and infections.